OmniAire 2200C HEPA Negative Air Machine by Omnitec Design Inc.
OmniAire 2200C is a construction grade negative air machine with two speeds, strong housing and full size, 12” deep HEPA filter. This is a powerful, well constructed and reliable air filtration machine with many accessories to assist you on your projects. OmniAire 2200C housings have a durable finish and are structurally strong. They are individually made with galvanized steel, closed end riveted construction. All seams are silicone sealed before and after riveting to assure that contaminated air does not bypass the HEPA filter. OmniAire provides a cleaner and healthier environment in industrial facilities as well as abatement projects. 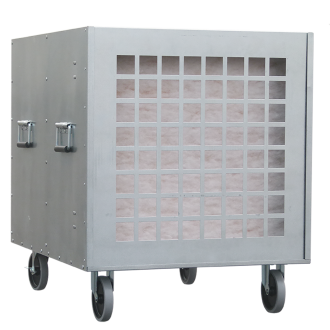 Multi-packet bag filter assembly – installed in place of HEPA for economical removal of construction dust. 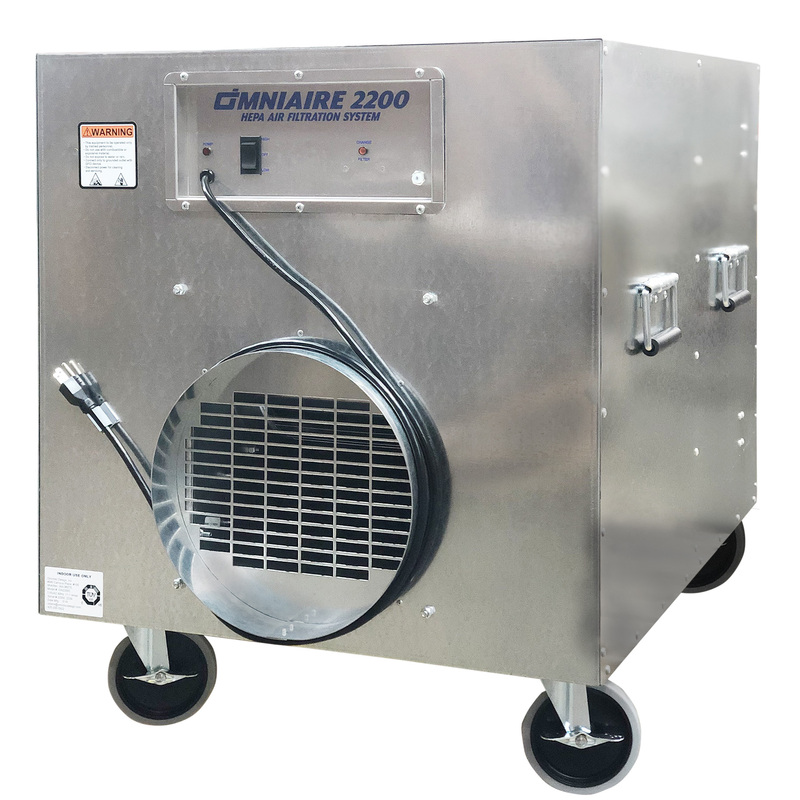 For your safety, the OmniAire 2200C machine is OSHA, UL and CSA/IEC compliant for electrical safety. , 24" x 24" x 2"